A little Expendables 3 update, first of all. Last week we reported that The Expendables 3 had incurred a small delay in shooting. The Museum sequence was supposed to shoot in the middle of last week but was postponed. This was due to inoperable electronics as the Museum is still under construction. Those scenes were completed today, so all is good and on schedule. To recap, they mostly involve Mel’s character, who is a patron of the fine arts. Meanwhile, Stallone has been on Letterman before returning to The Expendables 3 shoot. He talks Escape Plan (out this Friday), Grudge Match (out this Christmas) and his rivalry with Arnold in the 1980’s, among other things. Great interview as ever. Check it out. 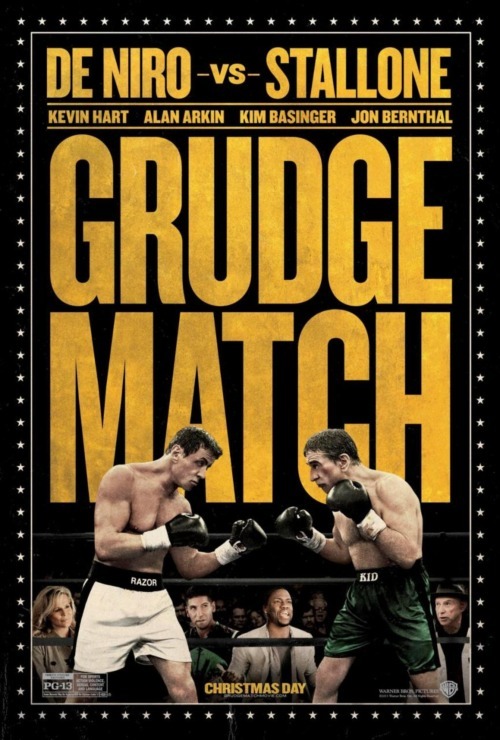 Speaking of Grudge Match, here’s the poster. And a picture. You can see in the poster that young Sly and De Niro are, well… CGI. More on that here. Nice poster. Old school.